Are you sick and tired of always sounding the same when you play and create solos on your acoustic guitar? It’s very common to become stale with you own guitar soloing. I know I certainly have on several occasions over the years I have been playing. Today I am going to show you a unique and refreshing way to create awesome, and often unpredictable sounding solos on your acoustic guitar. • Discover the one basic, simple, easy to apply technique that is at the basis of this whole soloing approach. You won’t believe what it is, or how easy it is! • Learn how to generate an almost endless amount of guitar soloing ideas with just one simple approach. You’ll never become bored with your own guitar soloing ever again! 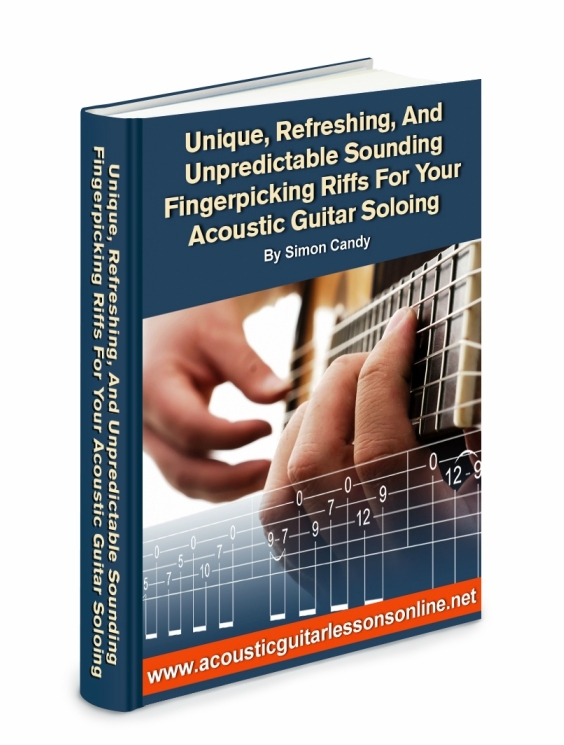 Get free instant access to “Unique, Refreshing, And Unpredictable Sounding Fingerpicking Riffs For Your Acoustic Guitar Soloing” now. Simply fill out the easy form below, then click the “Give Me Access Now” button.